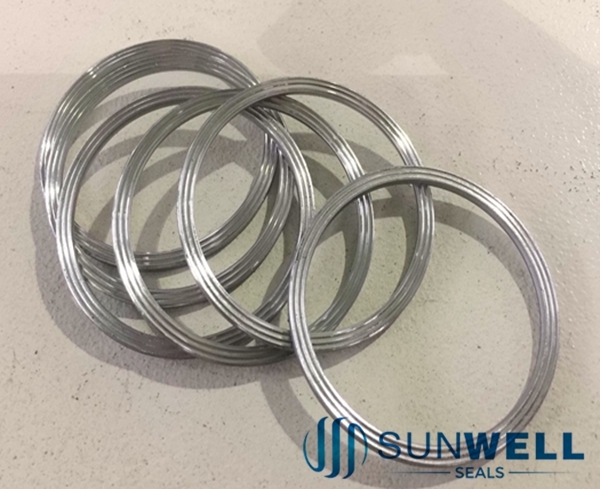 SUNWELL SEALS 1100-KP1 Kammprofile gasket to provide a positive seal affected by less than half the installation torque required for traditional flat heat exchanger gaskets. The 1100-KP1 Kammprofile gasket consists of a serrated metal core with a bonded layer of high grade graphite on each surface. This construction allows for focused and distributed forces, greatly increasing the ability of the gasket to properly seal against surface imperfections, eliminating expensive re-machining costs, as well as requiring significantly less torque. Typical flat heat exchanger gaskets are notorious for inconsistent sealing and are often the source of unsafe and costly leaks. The SUNWELL SEALS 1100-KP1 Kammprofile gasket ensures that you pass leak tests on the first attempt and lower the expense of downtime. As an operator continues to torque the flat gasket during installation of the header plug, the metal hardens, which decreases, and ultimately prevents, the gasket from yielding in thickness of a seal. 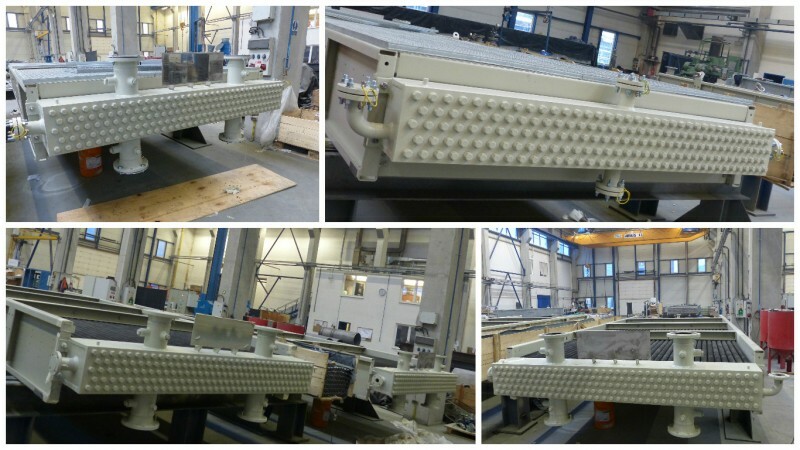 The load stresses caused by this over-torquing and strain-hardening phenomenon on you fin fan / air cooled heat exchanger results in damage and deformation to the header box gasket surface, plug thread galling, and thread shear within the header box.